At the Clemson-Boston College football game, friends and teammates of former Clemson football player Robert P. “Bob” Mayberry Jr. announced that $1 million and 74 dollars has been raised to establish an endowment to honor Mayberry’s memory and values. The endowment will award partial scholarships to football trainers and/or managers. Mark Richardson ’83, a member of the committee that initiated the effort, said that the scholarship was a fitting tribute. “We are confident it would have been Bob’s dream to honor those who work hard day in and day out with no expectation of recognition beyond that which accrues to the whole team.” The fundraising committee also includes Jubal Early, Steve Horvath, Steve Luquire, Robert P. Mayberry Sr. and Kendall Alley ’83, M ’85. 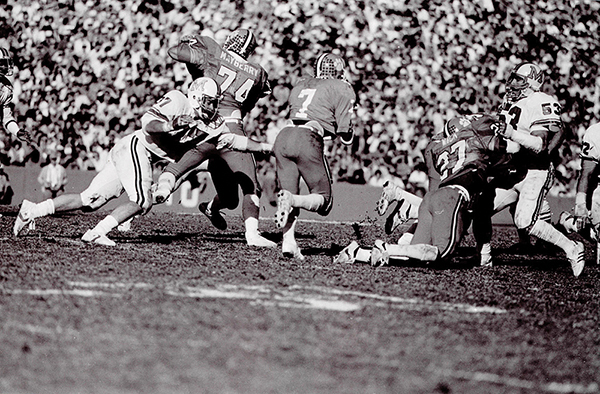 Mayberry started on the 1981 National Championship team. Following graduation in 1983, he joined his father in the automobile business, married and raised a family, and seized every opportunity to demonstrate his passions for Clemson and for helping others. He died in 2012 after a battle with cancer. 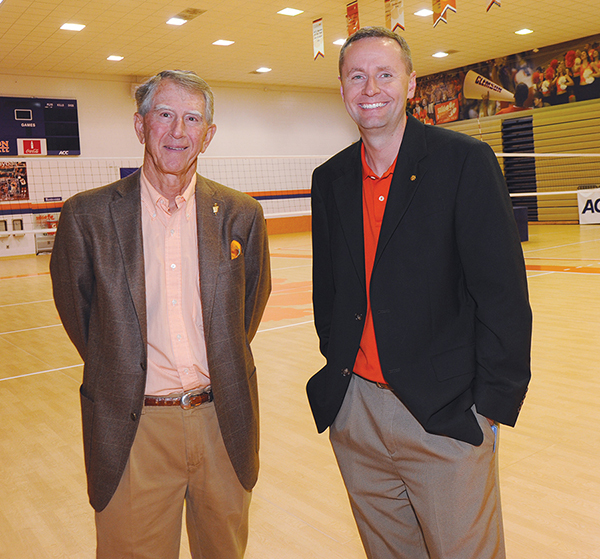 Pledges and gifts in support of the Robert P. “Bob” Mayberry Jr. ’83 Endowed Memorial Grant-in-Aid may be addressed to the Clemson University Foundation and mailed to Connie Sexton, IPTAY Major Gifts, P.O. Box 1529, Clemson, S.C. 29633. More than $2.8 million has been donated to the Barker Scholars Endowment, established to honor President Barker and his wife, Marcia. The endowment will support need-based scholarships for undergraduates. More than 2,000 contributed to the fund, with more than 80 founding partners who contributed more than $25,000 each. 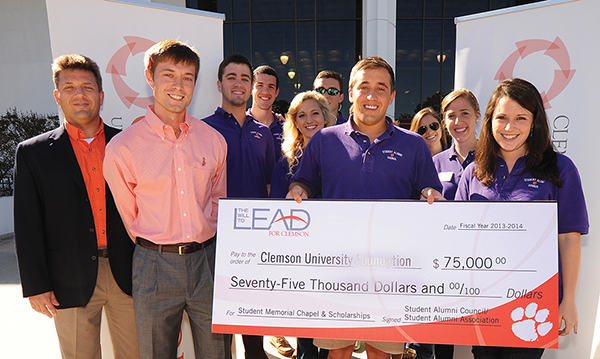 Since 2006, the Fort Hill Clemson Club has funded annual scholarships for students through the money raised from their annual Recruiting Wrap Up. But this year, they decided a change was in order. The event has more than tripled in attendance to 700 and increased more than 1,000 percent in sponsorships to $21,000. Held the day after recruiting ends, it includes chats with the coaches and players, barbecue and getting the inside scoop on the season to come. To learn more about how you can make an impact on the future of Clemson, visit clemson.edu/giving, call 864-656-5896 or email cufund-L@clemson.edu. Call Me MISTER and Emerging Scholars have in common their goal of improving educational opportunities for underrepresented populations. They also have in common the support of Wells Fargo, which donated $500,000 last fall to support the programs. 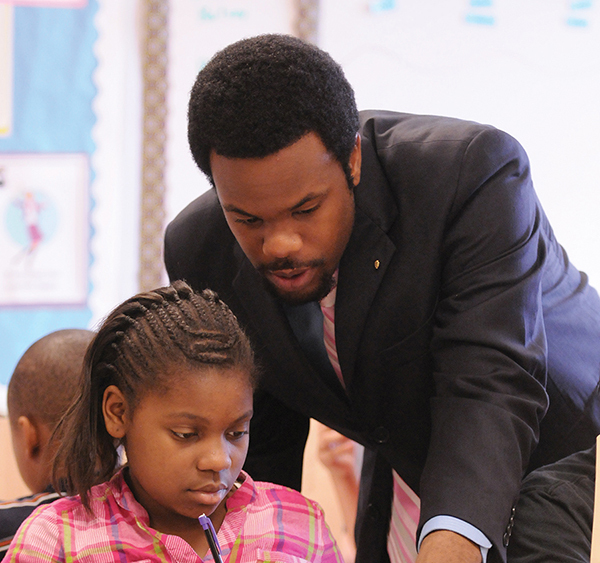 Call Me MISTER seeks to place more African-American males in elementary school classrooms as teachers. Emerging Scholars’ mission is to increase the number of college graduates from economically disadvantaged areas and first-generation families. Since 2006, Wells Fargo has given $1.71 million to support the two programs. Maurice “Butch” Ferree ’65, M ’67 and his wife, Joy, have created a charitable remainder trust valued at more than $1 million to benefit students in the College of Agriculture, Forestry and Life Sciences. Half of the money will establish the Dr. Maurice E. “Butch” Ferree and Joy Culver Ferree Scholarship Endowment to provide scholarships for students in the college. The other half will create an endowment to provide experiential learning opportunities for students. of the new members of the Fort Hill Legacy Society, whose bequests or testamentary trusts were realized at $1 million or more. Ethelyn Berry Smith dedicated her life to education. She taught several years in Kershaw County, and continued her devotion to education by establishing the Harry Graves Berry Bioengineering Endowment to honor her brother, a member of the Class of ’41. Tragedy struck Ernest and Virginia Carroll when their only son, Ernest Jr., was killed in action in June 1944 during the invasion of Normandy, while Ernest Sr. was serving in the Pacific theater. The Carrolls created the Ernest Hill Carroll Jr. Endowed Scholarship Fund at Clemson, where he had attended before enlisting in the Army. 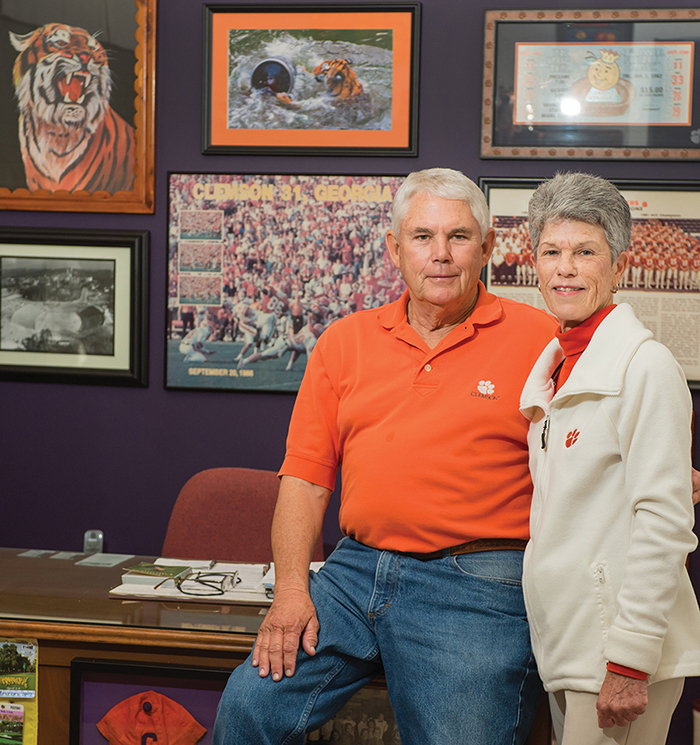 Porter H. and Sara L. Adams have long been tied to Clemson. Porter graduated in 1940, and their son Porter Jr. graduated in 1964. After 26 years of service in the U.S. Air Force, Porter Sr. taught both high school and college, then established the Porter Adams Family Endowed Unrestricted Scholarship. As part of the inaugural Week of Gratitude held on campus in October, the Student Alumni Council presented a $75,000 check to benefit the Student Alumni Council Scholarship Endowment Fund and the Student Memorial Chapel.